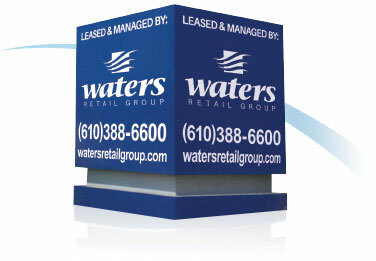 Kennett Square, PA (Chester County) – December 20, 2018 – Waters Retail Group, Southeast Pennsylvania’s premier development, management, leasing, and brokerage firm, has leased 900 square feet of retail space in the Marlborough Square Shopping Center to Rita’s Italian Ice & Custard. Rita’s will open in April 2019. Marlborough Square is located at 826 East Baltimore Pike in Kennett Square, PA. The 69,263 square foot Shopping Center is anchored by Giant Food, ATI Physical Therapy, Franklin Mint Federal Credit Union, Key Bank and Floga Bistro. Joe Waters and Kevin Donahue of Waters Retail Group (Kennett Square, PA) represented the Landlord. « PureBread Deli signs lease for 2,000 square feet in the Shoppes at Longwood Village in Kennett Square, PA.